We’re a conservation charity working across Britain and Ireland to help anyone interested in making a better world for our rivers, lakes and their wildlife, including our native trout. Flourishing wild trout populations are a sign of the health of our waterways and the land around them. 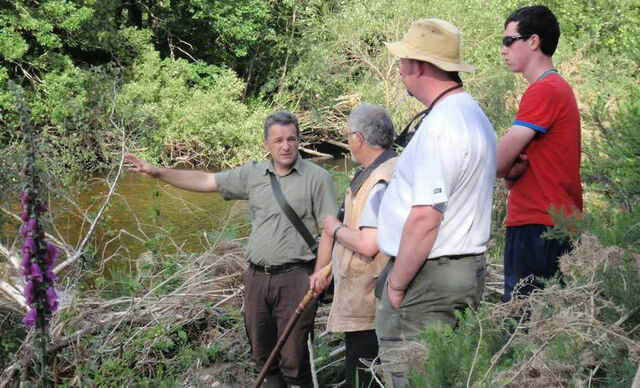 Our team of expert Conservation Officers work with landowners, local communities, fishing clubs, rivers trusts and government agencies to offer practical advice and hands-on habitat improvement projects. 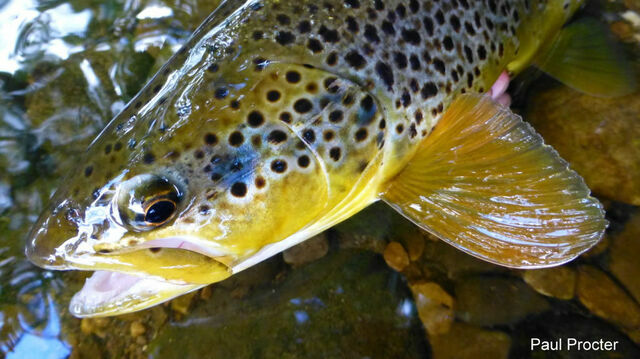 Have you, your club or organisation been doing good work for wild trout? We would love to hear from you! All details including application forms are here. Our focus is on practical action to improve habitat for trout and all wildlife. 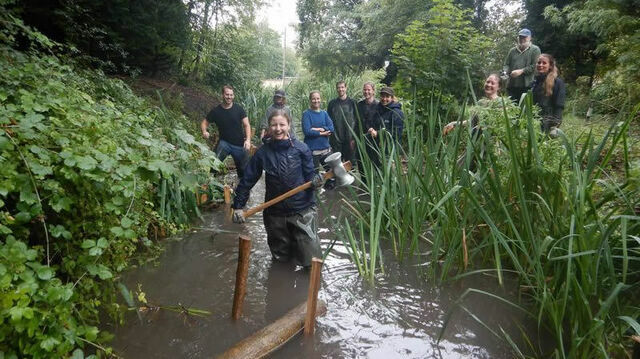 We do this by delivering habitat improvement projects, often in partnership with landowners and other organisations, by giving advice and providing training through Practical Visits and River Habitat Workshops. 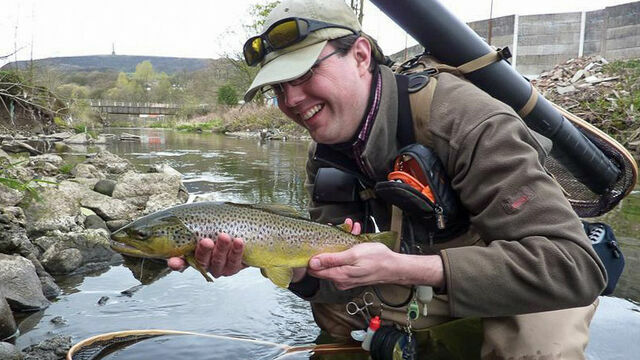 Any individual or organisation caring for a wild trout population, anywhere in the UK or Ireland, can contact us for practical help, advice and support. A trout can look and focus out of both corners of each eye simultaneously meaning that it can see in almost every direction at once. 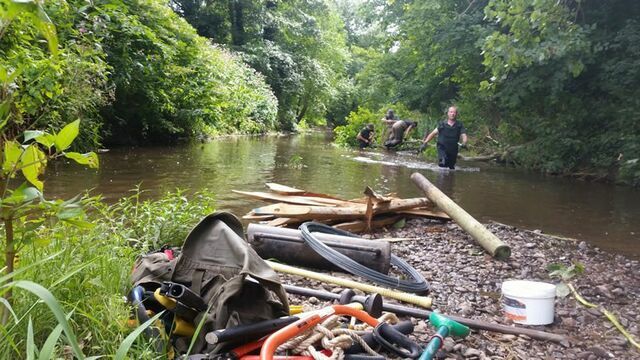 Our ‘in river’ projects range in scale from a hundred metres to a kilometre or more, and may involve a small army of (wet and muddy) volunteers or a large excavator, expertly guided by one of our team. We use techniques that we know work, based on evidence and experience, and are proud to be chosen to manage the delivery of many partnership projects. Any individual or organisation caring for a wild trout population, anywhere in the UK or Ireland, can request an Advisory Visit. One of our Conservation Officers will walk your stretch of river with you, discuss how best to manage and improve the habitat and write a report of their findings and recommendations. Advisory visit reports are available on this website plotted on a map and as a list. Urban rivers are a fantastic resource for communities – not as rubbish dumps but as places of beauty, calm and wonder. That’s why we work with communities to help bring trout and other wildlife to urban rivers. We have a large library of information on this website, including ‘how to’ videos, academic articles and topic summaries such as predation, why trees are important to rivers, and stocking with farmed trout. You can download our guides to habitat management as PDF files, or buy them from the shop. Also available in the shop is the excellent Wild Trout Survival Guide, our must-read book about wild trout conservation and management and a 70 minute DVD called Rivers: Working for Wild Trout. We have a small staff who work from home and who are passionate about rivers and wildlife and love their jobs! We are helped by armies of volunteers who get stuck in to projects and help us with social media, events and the auction. The auction is our key fundraising event, held on eBay every March with over 300 lots (mainly fishing) donated by our supporters. The Conservation Awards are held annually to recognise and celebrate excellence in river habitat projects. 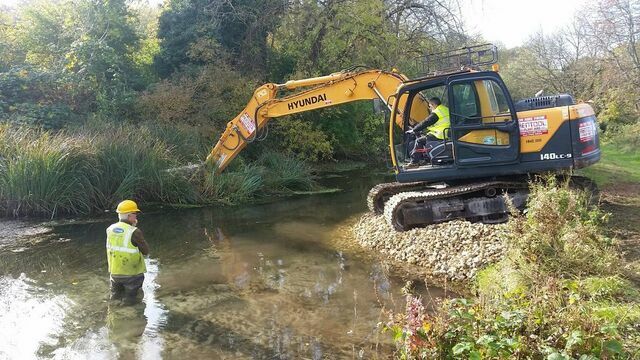 With a focus on practical advice and project work, a small and expert team and very low overheads, we use our funds wisely to deliver real improvements to river habitat for the benefit of trout and all wildlife.